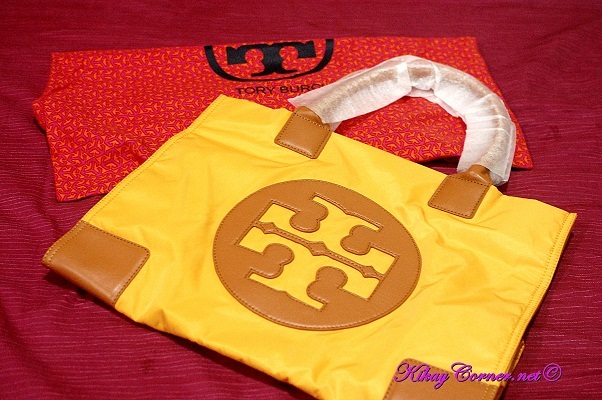 The first time I saw the Tory Burch Ella Nylon Tote in Yellow, my eyes were pretty much fixed on it. Essentially, a weekender bag in my opinion. With the stuff I lug around with every time I leave the house, I thought the size is perfect for me! Yes, it NOT Manila-friendly. It does not zip close, you see. But even that did not stop me from getting hold of it. 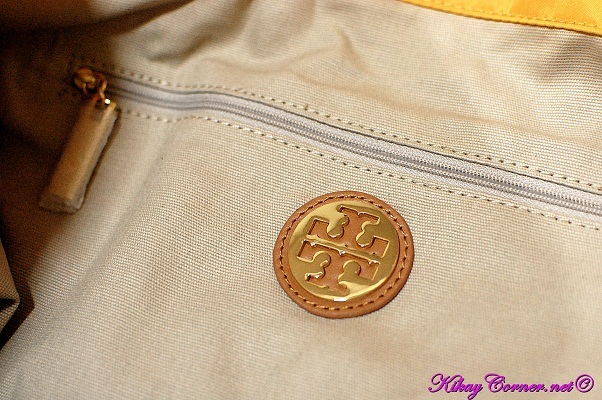 The color of this Tory Burch Ella Nylon Tote is almost golden yellow. It’s capacious enough to accommodate all my stuff and some. The material is nylon. Hence, the name, I suppose. The handles, corner portions and the medallion are made of leather. Before purchasing, I read a review of one who bought from Bloomingdales that the leather was not exactly the best material. Hoping my being careful in handling it is going to make a difference. 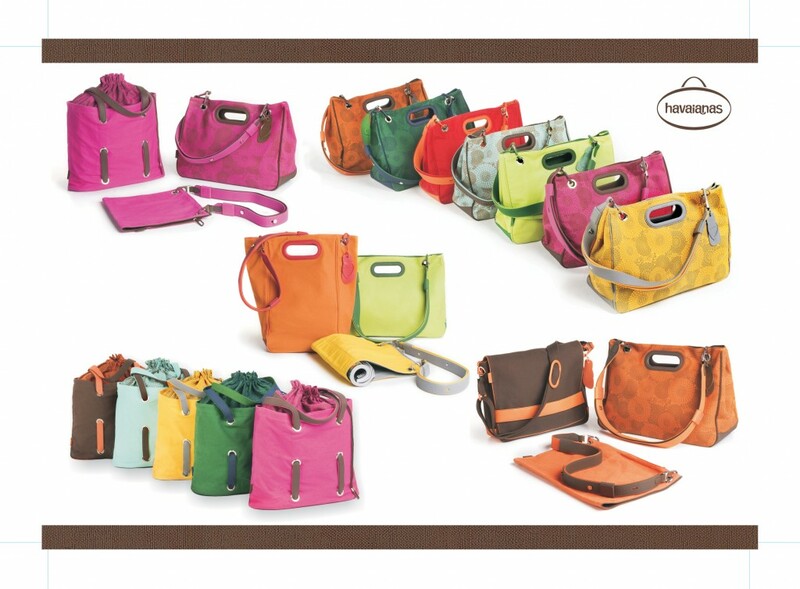 When I first bought the bag, I was thrilled – my first Tory! 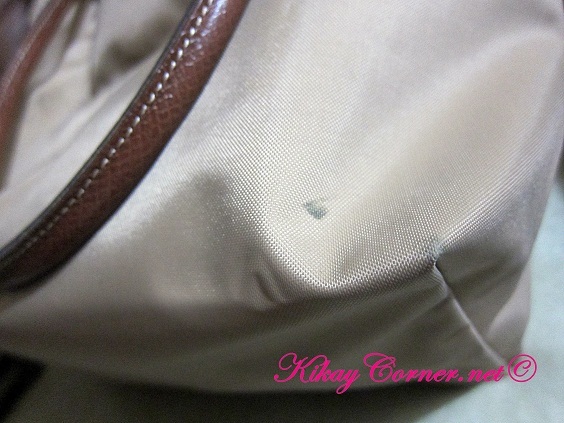 But after a week of use, I noticed the handles fraying beyond belief and the bag was literally coming apart. I went to Bloomie’s after this had happened, and a product analyst was there. She told me she is embarrassed to sell this bag because the quality is not up to par! I exchanged it for the Tory Nylon tote. I love this one! The quality is much better and it is much sturdier. 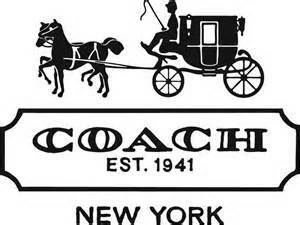 I would highly recommend the Tory Nylon tote instead! Tory Burch zipper pull. I love the deep zippered pocket that houses my valuables. The size is a dream! It can serve as a working bag that can accommodate a laptop and some (essentially the rest of your office stuff, if you must). 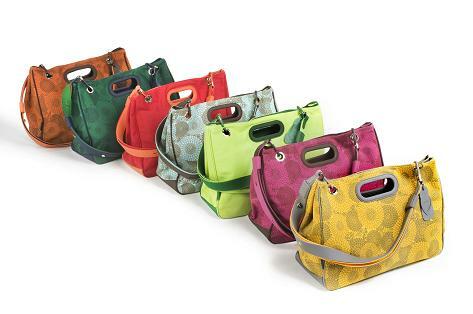 It can pass for a diaper bag or a weekender bag even. The huge medallion face is fun too. And if you want to be discreet, you can always wear it with the medallion facing your body instead. It was a couple of months back when I found that one of my Le Pliages has acquired this stubborn stain. There was no way I can figure out where it came from. It sure looked like it was ink to me and it was too brutal for me to ignore. To maintain your product, apply with a soft brush Longchamp colorless cream regularly to leather areas. To remove dirt, clean the whole lining using a cloth or a soft brush, with water and neutral soap (avoid water spilling over leather parts when cleaning). Even the care instruction that came with the bag did not help. So I did what any diligent kikay would do. I checked out stores and places for stain removal stuff for the bag. Something that is safe for polyamide fabric, to be exact. 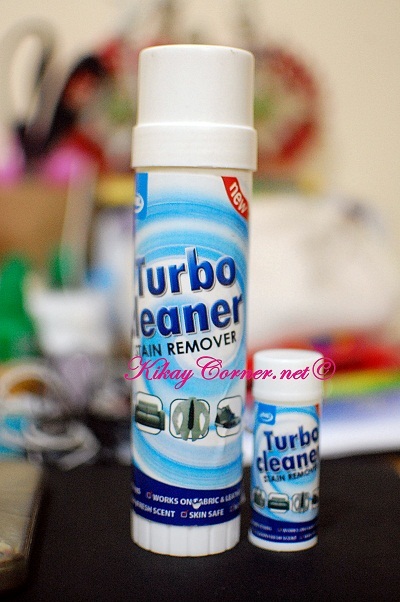 Lo and behold, I found one of my favorite household brands carrying just what I need, in one of the malls I frequent. How convenient! 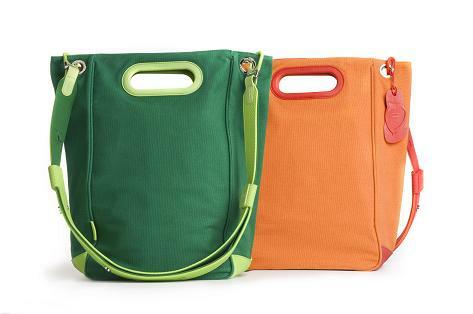 ECO-ETHICAL STYLE takes center stage as Rags2Riches/RIIR Designer Line unveiled its Fall/ Holiday collection of signature bags and accessories. Created by premier designer Amina Aranaz-Alunan, the launch of RIIR-Aranaz’s Fall/Holiday collection is the collaboration of Filipino style connoisseurs – RIIR, Aranaz and Rajo Laurel, who graciously lent pieces from his couture collection to the runway muses of the event. 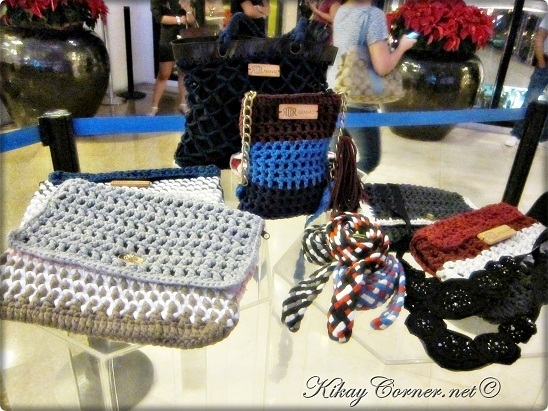 I am particularly impressed how every piece of RIIR-Aranaz collection has been meticulously-woven and comes with a tag that tells who the particular mother in Payatas made it – creating an instant bond between the maker and the bag owner. It also uplifts the mothers of Payatas out of poverty. Now with Christmas a few weeks away, people who weren’t able to prepare early are now in panic mode, trying to figure out how to squeeze in to their already crazy busy schedule the time to shop. 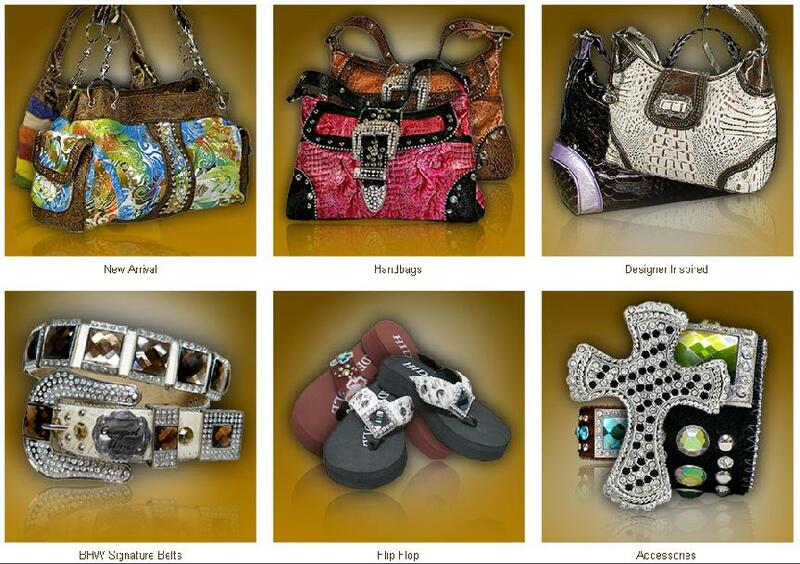 Here’s when buying wholesale handbags come in really handy, especially for your lady recipients. Traveling in style is at its best with Samsonite Black Label’s Viktor & Rolf Sally Upright with vintage aeroplane print. It retails at P48,500 (approx.$1,055). 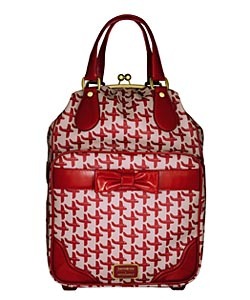 This obviously caters to the lady traveler who would rather travel in style than otherwise. No boring patterns, because its wild lines makes up an interesting piece of luggage. This will sure no less than stand out on the conveyor belt.